Up until the last year, I have been a stereotypical heavy packer. Double the amount of outfits for the time I would be gone, extra accessories for those “just in case” events, and as many pairs of shoes that would fit around the endless makeup and hair products. I always felt weighed down by wheeling around such a giant suitcase through airports and cluttered when all the contents filled the whole of a tiny hotel room. These problems only compounded when I began traveling for races. I can’t think of many things more frustrating than digging around for my headphones or sorting through one too many headbands to find my favorite one at 5am. Thankfully those struggles are a thing of the past. An armband for my phone and earbuds – I always need music to fill in the spots between bands and cheerleaders. I also use it for my ID and credit card because I don’t pull my phone in and out of the band. And of course my running shoes and socks! I love these lightweight Mizuno’s. They have just enough support for me but don’t add much weight to my bag. They’re also slightly flexible which makes them easier to pack around. It is also incredibly important to make sure you’re prepared with enough fuel for before, during, and after the race, especially if you are used to training with specific products. When I ran the Big Sur Half Marathon, I made the mistake of thinking it would be easy to find the products I needed at the local grocery store or race expo. I didn’t, and had to substitute with what was available – not ideal. For this race, I brought exactly what I had trained with and had a much easier run. Vega Sport’s Pre-Workout Energizer in Acai Berry – I love these individual serving packets for travelling with. I also stash a few in my gym bag and desk at work. Salted Watermelon GU – I’ve tried a lot of flavors and the this is now the only one I buy. I like that it’s not as sweet as some of the other fruity flavors, and I don’t think it feels as thick as the chocolate or vanilla. 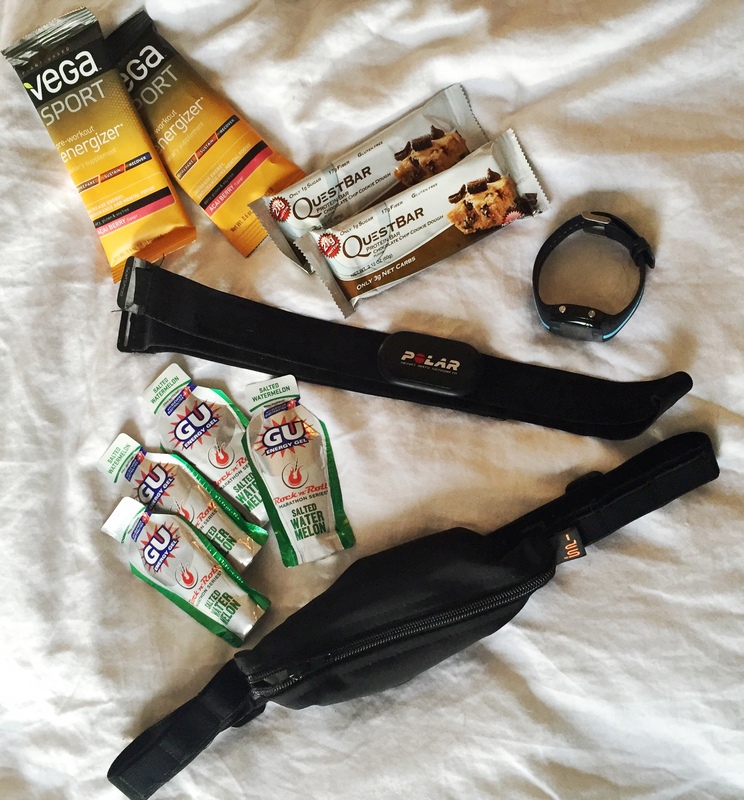 Chocolate Chip Cookie Dough Quest Nutrition Bars – I pack these on any trip I take, even if I’m not running. Such a great tasting, quick way to get a good snack in or refuel when you need it. 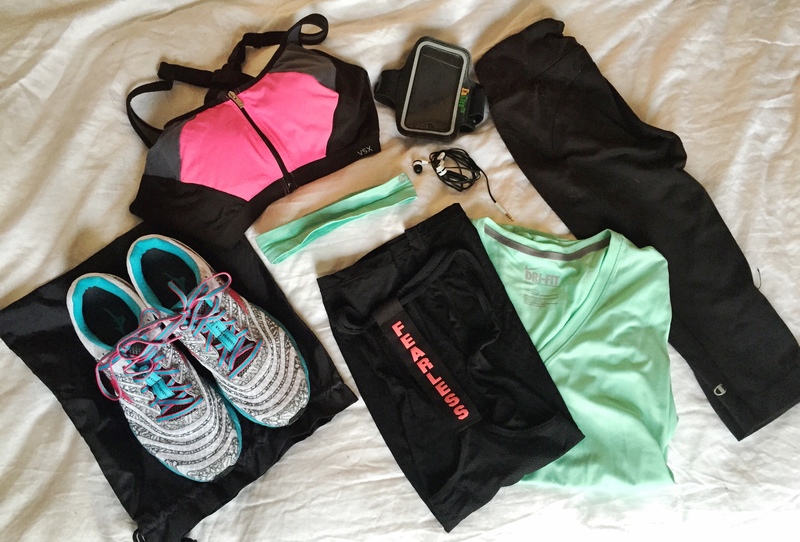 I also brought my Polar heart rate monitor and a SPIbelt that I pre-packed with Kleenex, Chapstick, and Advil. I use the belt to carry my GU. I try not to keep anything valuable in here if I can avoid it since I’m always opening and closing it throughout the race. 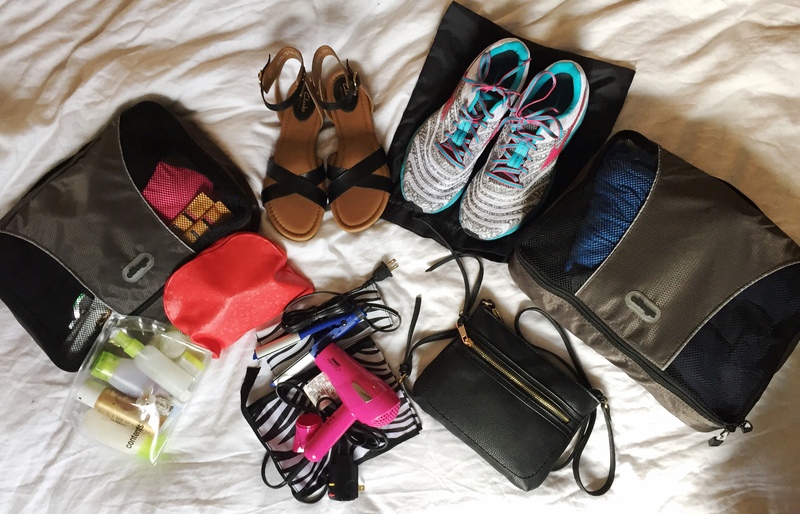 I recently discovered the eBags packing cubes and they have completely changed the way I pack. I used one of their medium sized cubes for all of my race gear to keep it all together for race day, and another for the rest of my clothes for the trip. Everything I needed condensed down small enough to fit comfortable in my Everlane Weekender with room to spare!